David Cage’s Detroit: Become Human recently came out, and its blend of filmic game design and ham-fisted writing has been drawing rounds of responses from players. Cage’s games always stir up the take-mill like this. They play out like interactive movies, with massive scripts that accommodate any of the player’s choices—sometimes quite feebly. You can’t lose; death merely results in a different storyline playing out. We’re at the climax of the game here, and for some reason it got stuck on a prompt that let the protagonist call out to his son when you hit the X button. Instead of just briefly expressing his grief, though, it lasts for a full five minutes, screaming out his son’s name over and over again, even after being shot. The action moves far away, but he’s still down there screaming for Shaun throughout an entire action scene that doesn’t involve him. 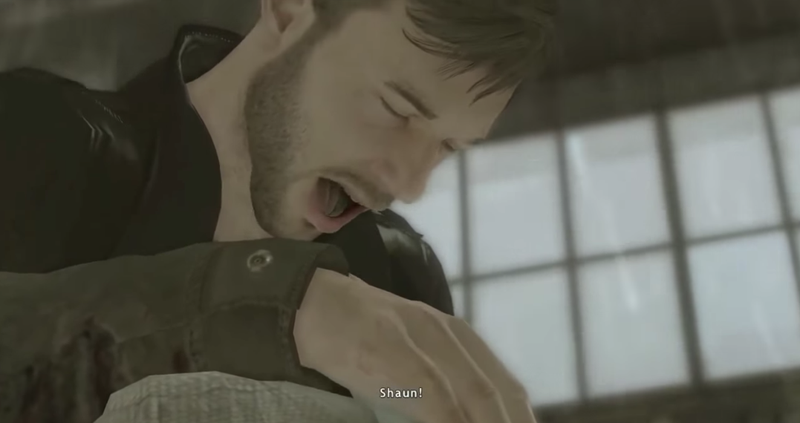 By the end of the scene he’s returned, still screaming Shaun as the titular heavy rain falls all around him. The glitch at once punctuates the game’s portentousness and underlines the cinematic qualities that made it compelling in the first place. Here’s hoping Detroit: Become Human houses something so sublimely silly.